Congregation Shir Ami is a longtime participant in the Rabbinic Intern program of the Reform movement’s Los Angeles seminary (the Hebrew Union College-Jewish Institute of Religion or HUC-JIR). Each year, we are pleased to welcome two interns in their second or third year of rabbinic training. These talented Jewish professionals begin their term with us by leading High Holiday services. Then, each of them joins us once a month throughout their school year to lead Shabbat worship, teach in our Shir Ami School, lead lifelong learning programs, and share in the life of our community. We grow with them as they grow with us. Sam Klein is beginning his journey to become a rabbi at HUC-JIR and just finished his first year in Jerusalem as part of the program. He grew up in Champaign-Urbana, Illinois where his father was the rabbi of the local Reform congregation for nearly two decades. Throughout the years, Sam has been highly involved Jewishly, attending the URJ camp OSRUI for several years and went on to lead his temple’s NFTY youth group and Hillel in college (Cornell University) as President for the Reform movement on campus. While in Israel studying at HUC-JIR, Sam participated in the Shalom Hartman Institute and a rabbinical internship with the Reform community of Be’er Sheva. This summer he will be a lead educator for NFTY in Israel, guiding teens in the Reform youth movement across Europe and Israel. He is very much looking forward to joining Congregation Shir Ami this August! 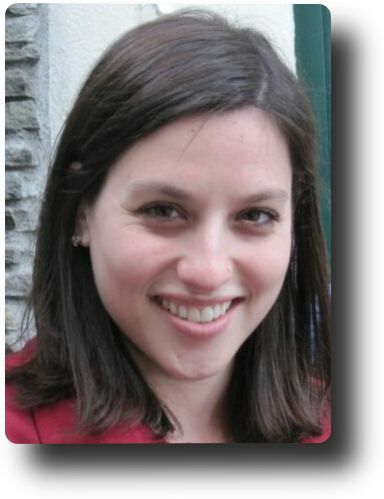 Mira Weller is a student of HUC’s rabbinical school and the Ziegler School of Jewish Nonprofit Management. A Southern California native, she trained as a child in viola, violin and piano performance. She is a graduate of Georgetown University’s School of Foreign Service (’12) in Washington, D.C. where she studied Culture, Politics and Foreign Service and played endless chamber music. She has served both as an educator and curriculum builder for University Synagogue’s religious school in West Los Angeles since graduation, as well as a music teacher and performer. In 2015, she was awarded the Kathryn Davis Peace Fellowship for her work in conflict mediation and peace building across the Jewish community. Excited to share this sacred connection between Jewish worship, music and community, she looks forward to joining Congregation Shir Ami in the fall. Rabbinic Intern Bryan Zive is joining Shir Ami. Bryan, a rising second year student at Hebrew Union College-Jewish Institute of Religion in Los Angeles, is honored and excited to be serving as a student rabbi with Julie Bressler at Congregation Shir Ami! He grew up in Los Angeles, CA, was a camper and staff member for over 10 years at URJ Camps Newman and Swig. Bryan graduated from Ohio State University in Columbus with a B.A. in Jewish Studies and Ethnomusicology and attended the Cantorial School of The Academy for Jewish Religion, CA in 2009. 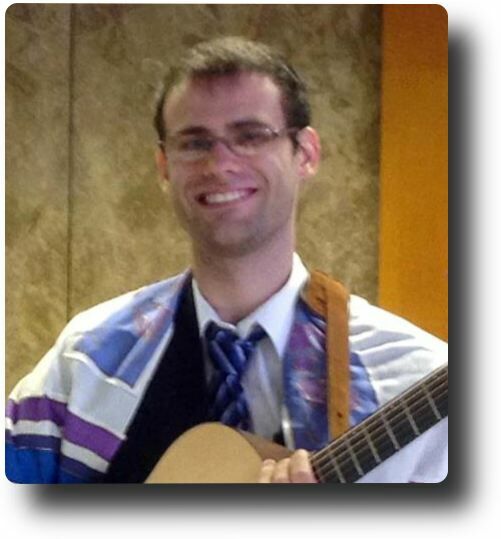 He served Temple Israel in Columbus as their Music Director from 2005-2009, and most recently served Temple Sinai in Denver, CO as the full-time Cantorial Soloist. Bryan also visits various synagogues, camps and Hillel institutes throughout the year to perform, educate and create community through his original contemporary Jewish music. You can visit his music website at www.bryanzivemusic.com. Sermon: “Mah Rabu Ma’asecha Adonai” delivered on Shabbat Vayikra 5774 on 3/7/2014. Sermon: “The Power of Sacrifice” delivered on Shabbat Behar 5774 on 5/9/2014. Sermon: “Remaking The Universe” delivered on Shabbat Masei 5774 on 7/25/2014. Megan Brudney is a rising third-year rabbinical student hailing from Athens, Georgia (the home of the Georgia Bulldogs), and is a proud graduate of Duke University, where she majored in linguistics and minored in Spanish. After graduation she spent four years in Washington, DC, where she worked at PANIM: The Institute for Jewish Leadership and Values, gaining experience in youth work, grant-writing, grant management, and fundraising. In 2010 Megan moved to Jerusalem for her first year of HUC and then elected to spend an extra year in Israel before returning to Los Angeles for her second year. Megan works as a songleader and teen educator at the Santa Monica Synagogue in Los Angeles and last year served as the student rabbi of Sun Valley, ID. Over winter break Megan traveled to El Salvador on an American Jewish World Service Rabbinical Student Delegation. 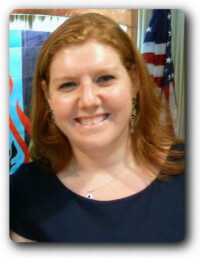 This summer, 2013, you can find Megan at JCC Camp Kingswood in Bridgton, ME, where she will be working as their Judaics Director and songleader. Megan is looking forward to meeting you all and growing and learning together in 5774! Rabbi Brudney was ordained at the Hebrew Union College – Jewish Institute of Religion, Los Angeles Campus, on the 7th of Iyyar, 5776 (May 15, 2016), and is currently serving as Assistant Rabbi at Temple Beth El, Bloomfield Hills, MI. She can be contacted at mbrudney@tbeonline.org.